If so, please join us Wed at 6:30PM at the Property Protege Group hosted by Don DeRosa and Dustin Griffin. This Month we are Meeting at IHOP, 30200 US Hwy 19 N, Clearwater, FL at 6:30PM. ALL TAMPA REIA MEMBERS ARE WELCOME TO ATTEND THEIR FIRST PPG MEETING AT NO CHARGE, but seating is extremely limited, so arrive early to get a seat. 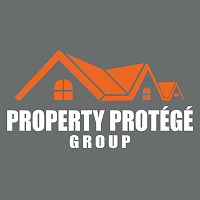 The Property Protege Group (PPG) is a private coaching group led by Don and Dustin that meets in-person in Tampa, Atlanta or Online via Facebook Live for PPG Members that cannot attend in-person (Replays are available for PPG members who can’t attend live). The first part of the meeting is educational and the second part is where we evaluate your deals and decide if they are a deal or no deal. Join us at Tampa REIA on Thursday, April 11th from 5PM-9PM at the Doubletree Suites Tampa Bay located at 3050 North Rocky Point Dr. West in Tampa, FL with special guest speakers, Mark Lepzinski & Kevin Kolinski. As many of you know, both Mark & Kevin are active real estate investors who do a lot of deals every month in the Tampa Bay area. They both like to buy houses “creatively” (rather than using all cash, all the time) with techniques such as seller financing, subject-to, wraps, lease-options, options, trades and more! Join us at Tampa REIA to learn all about “The Deal Beyond the Deal” as well as “Creative Deal Structuring” from two local investors who are always making deals happen. No matter what the real estate problem might be, these two have the solution. We look forward to seeing you at this great event. RSVP NOW & DON’T MISS IT! As always, Tampa REIA Members can attend our Tampa REIA Main Meeting event at no charge and Non-Members can Register Online for $15 or pay $20 at the door. Be sure to bring your business cards and flyers and join us for an evening of real estate deals, vendors, networking, education and fun on Thursday, April 11th! See you there! 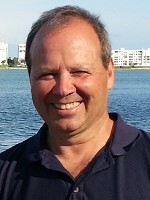 Hey folks, Don DeRosa here… I’d like to personally invite you to kick off the monthly Tampa REIA Meeting with me on April 11th at 5PM Sharp. At this session I will show you how to become a transaction engineer and how to do something with every single lead you get. I will be discussing, multiple offer strategies, negotiating and creative offer making. 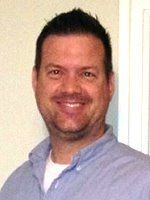 I will also show you how to use my patented “Easy Offer Maker” to make profitable offers every time, using multiple strategies like, owner finance, subject to, options and lease options. If you want to learn how to make money at everything you get your hands on then come see me at 5PM SHARP on Thursday, April 11th. Starting at 6:20 PM, Dustin Griffin kicks off the Tampa REIA Main Monthly Event with updates and announcements. 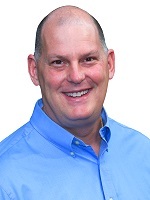 Dustin covers what’s happening at Tampa REIA in the upcoming weeks and months such as upcoming workshops, webcasts, special events, members benefits and much more! Be sure to be in the main meeting room at 6:15 PM for your chance to be one of the first to receive a printed copy of The Profit Newsletter while supplies last. All members who check in and attend the Tampa REIA Meeting will be entered into a drawing for a chance to win several Flat Screen LED TVs, a variety of Gift Cards (such as Home Depot, Lowes, Walmart, Amazon, etc), Flashlights, Phone Chargers and all sorts of other miscellaneous items that vary from meeting to meeting each month. *You must be present and in the room during the drawing to win. Door prizes and giveaways can change at any time for any reason. Non-Members and Vendors are not eligible to win. When you come across a lead, do you know how to look at the information, analyze it and determine what to do with it next? There’s nothing worse than losing a deal because you don’t know multiple ways to structure the deal and how to present multiple offers to the seller instead of just one “all cash, lowball offer” you knew wouldn’t get accepted. Would you like to learn multiple ways of how to structure each deal you are considering buying? This is exactly what I’m going to teach you how to do at the upcoming Creative Deal Structuring Workshop on Saturday, April 13th, 2019 from 9AM to 6PM at the 3050 North Rocky Point Dr West in Tampa, FL. All this, plus answers to your questions and much more! Don’t miss this great opportunity to learn about creative deal structuring from an expert real estate investor who invests right here in your backyard! You will get back more than double your cost of tuition! Don’t let this one-time offer pass you by! REGISTER NOW! *PLEASE NOTE: Tuition price will increase and will be per person after Early Registration Expires. Register now and save! Date, time and location are subject to change. Join Tampa REIA and save on tuition. 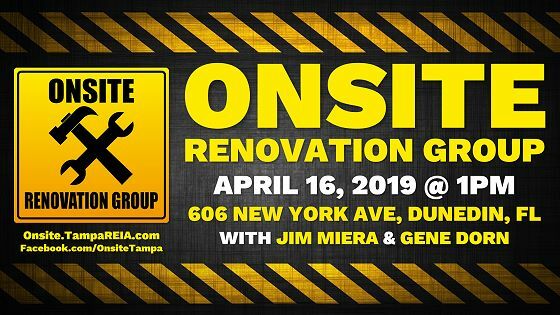 Please join us on Tuesday, April 16th at 1:00PM for the Tampa REIA Onsite Renovation Group (ORG) hosted by Jim Miera, to learn all about finding, funding, fixing, and flipping houses (or holding) for big profits. 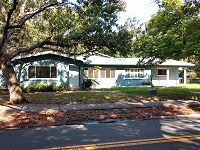 This month’s meeting will be held at 606 New York Ave, Dunedin, FL which is a rehab project being managed by Gene Dorn that is about 65% complete. Don’t miss this great Onsite learning opportunity in the ever-popular Dunedin! This case study is a block home built in 1962 with 2728 square feet and features a 5 bedroom, 2 bath, 2 car garage situated on a gorgeous 1/2 acre lot! This home also had a settlement issue that had to be addressed. Look forward to seeing everyone at this unique work-in-progress case study for a bunch of awesome learning tips! You will learn some great tricks and tips of the trade including how to do nice fix and flips even if you have a full-time job. Don’t miss this unique real time Onsite learning case study at April 16th at 1PM. RSVP Now and we will see you there!